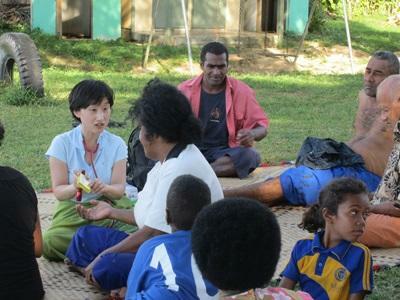 Projects Abroad interns can work with local communities to gain international work experience in a foreign environment on a Medicine & Healthcare project in the South Pacific. Interns are likely to encounter medical conditions that are less common in North America and Europe, while living with host families in these beautiful island nations. 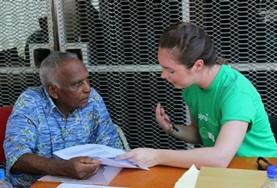 How Can I be a Medical Intern in the South Pacific? 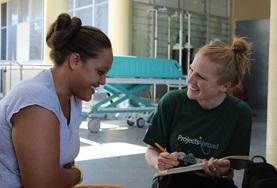 Interns may join a Medicine & Healthcare project in the South Pacific at any time of the year. Depending on the project, some previous experience or related studies may be required. Typically, interns shadow local professionals, but with passionate interest and a desire to learn, more responsibilities may be distributed. Whether you’re on a gap year, career break, or an extended vacation, you can get involved in a Medicine & Healthcare project in the South Pacific. Work alongside professionals from the Samoa National Health Service and educate the local community on nutrition and living a healthy lifestyle. Work in centres for disabled children and make a positive impact on your patients’ lives while gaining valuable practical skills in the field of physiotherapy.